Lycoming College is an educational institution with a predominantly residential student population. It is expected that normal operations will take place on a regular basis regardless of weather conditions. It is assumed that academic and other buildings on campus will continue to be opened and serviced. Offices will remain on a "business as usual" basis throughout a regularly scheduled workday. College remains open: Individuals should exercise caution and good judgment in dealing with potentially hazardous travel conditions. Employees are expected to report to work unless doing so places them or their families in an unreasonably dangerous situation. Each employee will decide whether or not to be absent from work, come in late to work, or leave early with normal notifications to the appropriate supervisory personnel. Employees who elect one of the above options may choose to use paid time off (PTO) for the time missed during the normal work day. They may also make up the time during the same pay week only with the permission of their supervisor. College closes: If under the most extreme circumstances an official CLOSING or DELAY is announced, all employees scheduled to work that day will be paid for that closing or delay period. Employees and students of the college will be notified via text message through the RAVE system. If you are unsure of the status of delay or closing, you can call the Office of Safety and Security at 570-321-4064. No classes, offices closed. No events, no practices. Note: Essential Emergency Personnel are buildings and grounds, Parkhurst and security personnel. 2 hour delay: compressed class schedule, offices open at 10 a.m.
Offices open at 10 a.m. Classes are back in session following the compressed class schedule. College closing at (time); classes after (time) canceled. Classes beginning at designated time and after are canceled. Offices are closed at the time the college closes. The vice president for finance and administration and director of the physical plant, in consultation with the president, make the decision for a delay or closing. If it is determined that there will be a delay or closing, the vice president for finance and administration will notify the administrative cabinet. 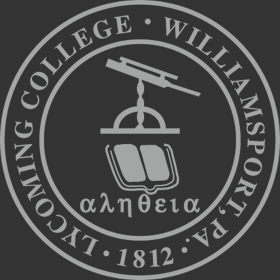 The executive director, communications & external relations (or assigns) will update the inclement weather status on the college homepage and will contact the media for TV and radio announcements. The vice president for student life will contact the safety and security office to release the announcement over the college's RAVE system for employees and students to receive the message via text message. Every effort will be made to release this information before 6 a.m. The director of athletics will contact the sports information director, who will inform the security office and all outside media. When practices are canceled, the coach will be in charge of the affected sport and will notify the students. The person in charge of an affected cultural event will notify the executive director, communications & external relations (or assigns), who will inform the security office and all outside media.